Times have changed, so has scuba diving! 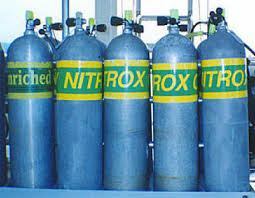 Scuba Professionals of Arizona can teach you how to dive with SafeAir Nitrox – oxygen enriched gas. This specialty is available during your Beginner Scuba Course or as a specialty by itself for certified divers. Recreational divers choose from two different courses: Limited SafeAir User (choose from 32% or 40% Oxygen) or Complete SafeAir User (up to 50% oxygen). 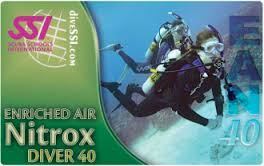 SafeAir Nitrox Courses are available for anyone who is enrolled in a Beginner Scuba Course or is already a Certified Scuba Diver and wants to have a safe dive profile, who is 15 years of age or older and is in good physical condition. All students need to complete a medical history form, please note: your Doctor may have to sign the form as well. Class and app is $190 including tax. Add on Certification card for $10 and rental use of two nitrox cylinders for $32. Scuba Professionals of Arizona is proud to offer a 10% discount to those members of our military, police, fire, or EMT personnel. Certification Diploma presented during the next Club Meeting after you are completed! Did you know that after you have completed your certification dives at the lake you could earn a higher scuba diver rating, the “Ocean Diver” card? Want to be a Dive Master? Would you like to be a Dive Master one day and be able to take people scuba diving? 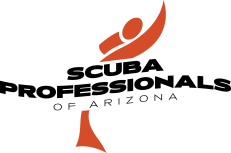 Did you know, the Master Diver “Expert Diver” Rating is the highest rating a sport diver can achieve? After achieving the Master Scuba Diver Certification, the very next step is Dive Master! You can save a lot of money and time by taking the Master Diver “Expert Diver” Course and learn the necessary scuba diving specialties to become a Dive Master. 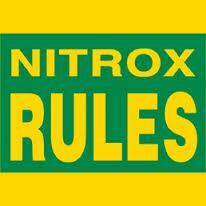 Call 602-314-6650 to Book your SafeAir Nitrox course Now!